holiday diving earlier this month with fellow PADI Course Director and rebreather diver Georgia Hausserman from Ocean Divers in Key Largo, Florida. James was diving Poseidon’s Discovery Mark VI while Georgia was diving her Titan CCR. 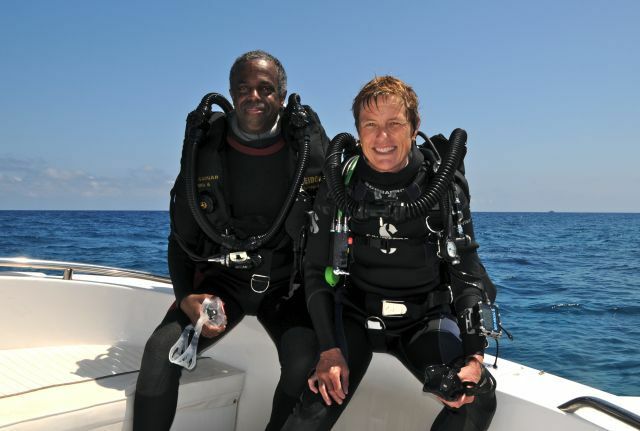 The dive buddies were blessed with exceptional diving conditions and both remarked how relaxing it was to spend 123 minutes on a single dive with no decompression obligation. The topography of Molasses Reef provided the dive buddies with multiple opportunities to have up close and personal encounters with numerous turtles, squadrons of Spotted Eagle Rays and one very surprised Nurse Shark. It is nice to see James in Tecrec blog and more with a CCR. Georgia was my instructor! What a super great job she did!